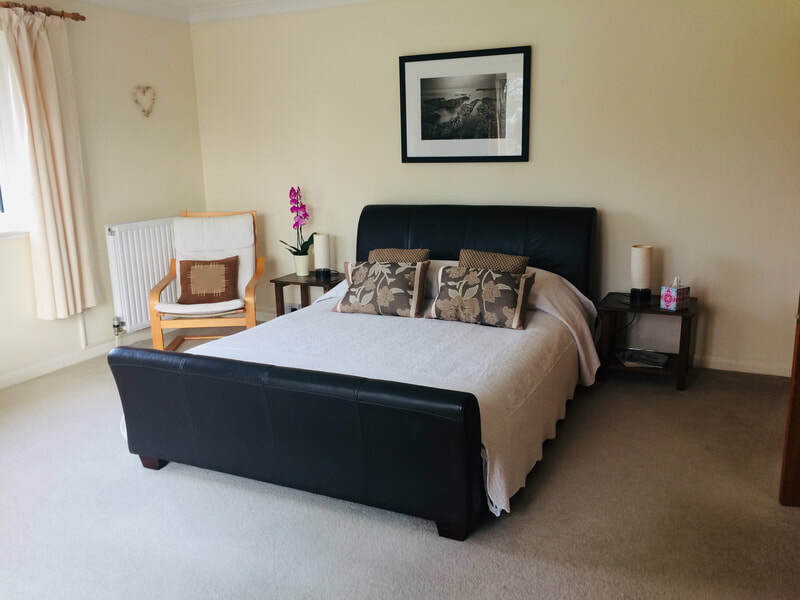 Sanderling Bed and Breakfast is located on the Rock Road, near to the shops and approximately one mile from the seafront of Rock. 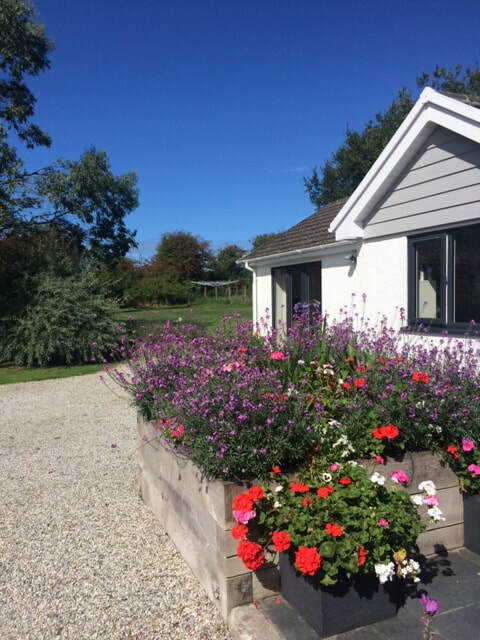 Sanderling is a small family run Bed and Breakfast offering spacious and comfortable accommodation with king size beds. We have two rooms available and they are both self contained and have private dining areas, with a private fridge and kettle. Sanderling is in a quiet location with a large garden and rural views. We have off road parking at the rear of the house and enough room for a boat trailer. Sanderling is open all year round. Ground Floor Garden Room : This is the Master bedroom, which is both spacious and light. It is located at the rear of the property, overlooking the garden. It has an en-suite bath with shower over, toilet, basin and bidet. It also has a private separate breakfast room with fridge and tea and coffee making facilities. Breakfast is served in this room or you can take the rooms on a room only basis. A single bed can be added to the room to accommodate a child or to make the room into a twin. It has large patio doors leading to garden. 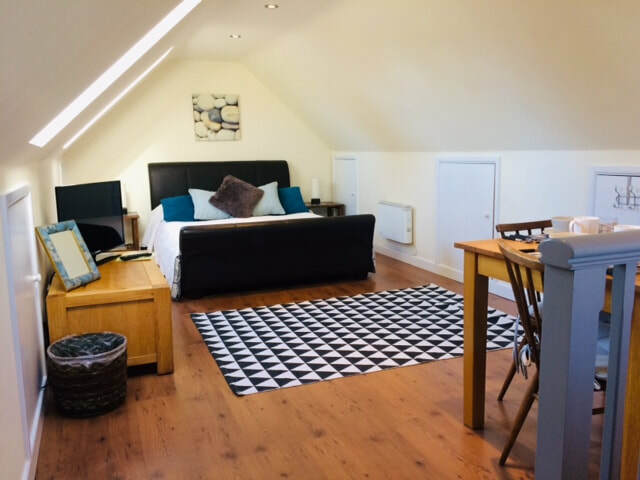 Pebbles Room: Tranquil room over large detached double garage with en-suite shower room, toilet and basin. Breakfast is served in the room or if you prefer this room can be taken on a room only basis. It has a private fridge and tea and coffee making facilities. Our local bakery is fantastic and offers breakfast options and we have a well stocked Spar shop and delicatessen near by. We accept a well behaved dog in this room and offer our field to exercise your dog.